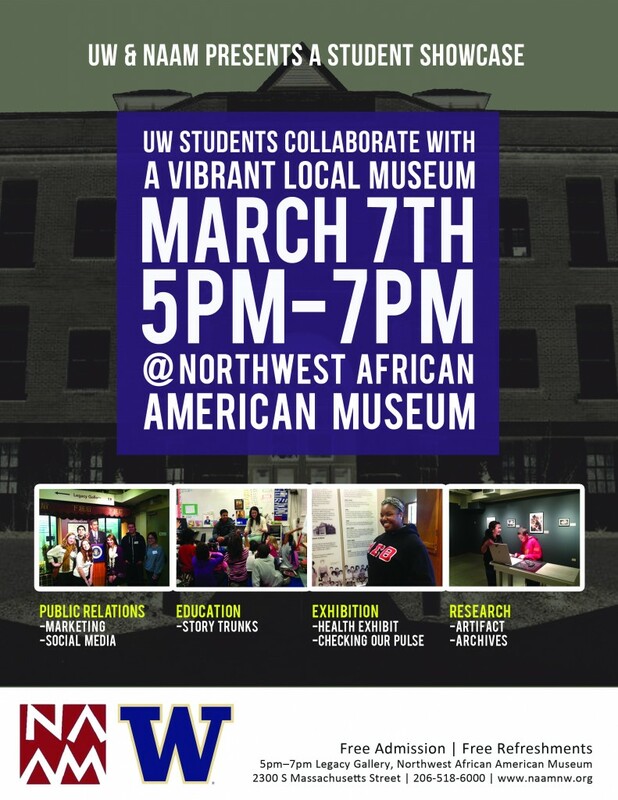 Professor Ralina Joseph’s Black Cultural Studies class is having an evening presentation night at the Northwest African American Museum (NAAM) on March 7, from 5 to 7 p.m. to showcase the work they have been doing throughout the quarter. 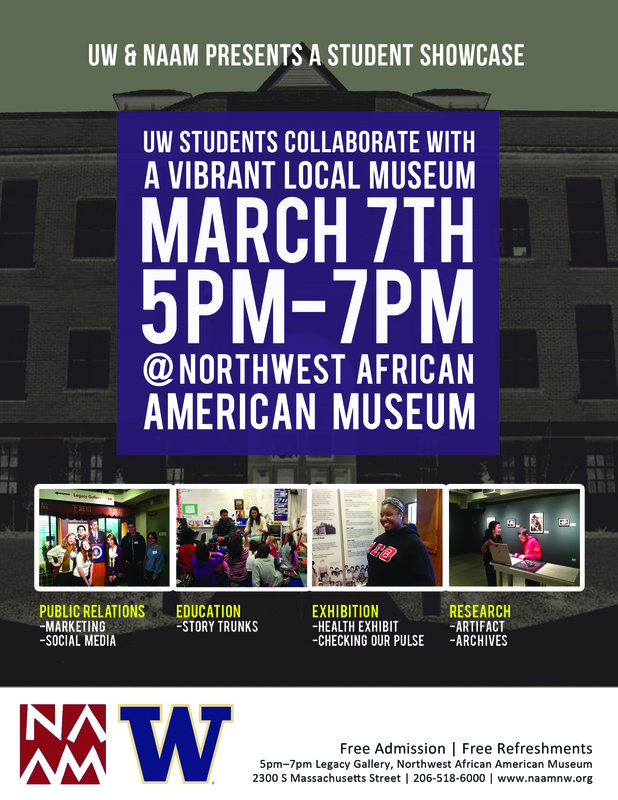 All are welcome and the event is free! Flyer made by students in the class.